Child’s Play will release in theatres on June 21, 2019. In the 80s, slasher movies among the likes of Halloween II, Friday the 13th and A Nightmare on Elm Street were racking in quite the moolah at the box office. This genre was immensely popular amongst audiences who liked horror, and this led to the making of many popular franchises that remain cult favourites to this day. Child’s Play was another breakout hit which attained cult status and subsequently spawned a series of sequels. But Child’s Play was a standout amongst other slasher films, as it had its very own twist at the genre. If you’ve been living under a rock and don’t know about this movie based on a psycho doll, Charles Lee “Chucky” Ray, the main antagonist, is not just another serial killer – he is a dead man whose spirit inhabits a ‘Good Guys’ doll, who then goes on a killing spree. It is not a secret that most of the aforementioned franchises are getting their own reboots. While Halloween already got one in 2018, the remakes of Friday the 13th and A Nightmare on Elm Street are currently under works. 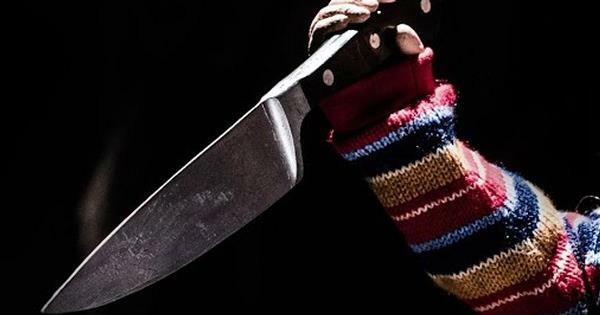 Thus, Orion Pictures also jumped on this bandwagon and the teaser of a modern take on Child’s Play was released recently. 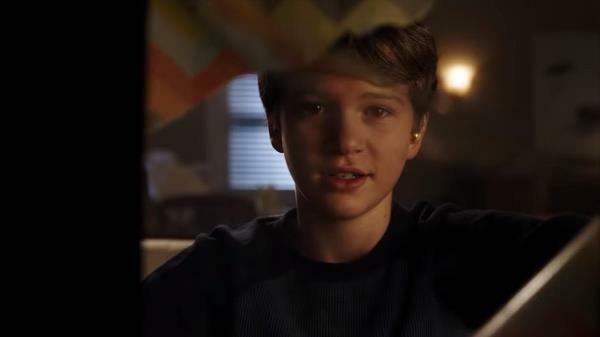 The teaser gives us a look at Andy Barclay, the protagonist of the Child’s Play series. 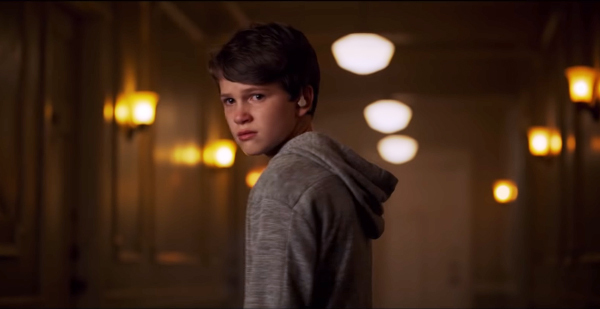 Andy is played by Gabriel Bateman (Lights Out) and Karen Barclay, Andy’s mother, is played by Aubrey Plaza (Parks and Recreation). We also get to see a bunch of engineers working on robots, which implies that Chucky is not going to be another doll possessed by an evil spirit – he’s going to be a killer robot. Cyborg Chucky also immediately scans Andy as soon as he is taken out of the box. Although the teaser had a good feel to it, the entire idea of a Cyborg Chucky is a huge let down. The original story of a doll possessed by a serial killer’s spirit is not only much scarier, it is also more intriguing, builds character and suspense, and has more impact. No matter how inhumane and evil Chucky may be, his backstory is what makes him somewhat humane, letting us know that he’s not just a doll on a killing spree. The old Chucky could feel pain, and he even bled. Would that be the case with Cyborg Chucky? I don’t think so. A robot Chucky is a huge step back for the franchise. It’s like if Skynet manufactured dolls instead of ‘Terminators’ or if Zack Snyder directed a remake of Toy Story. 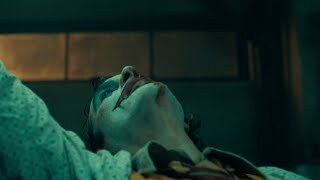 The entire supernatural theme of the original has been flushed down the toilet by this ‘modern’ spin on a classic tale. Another disappointment is that Chucky won’t be voiced by Brad Dourif, who has always been the voice of the doll. The remake looks like a dud thus far. In addition to all the aforementioned ways it lets fans down, it also pulled off a Venom, which means that we did not get a clear look at the new Chucky. Judging by the teaser, the movie is set to become a huge disappointment. This is a clear indication that some franchises must be left alone and not messed with, but most of all, you must not mess with a fan favourite just to make the character seem more ‘hip’, ‘modern’ and somewhat ‘relatable’. But not all hope is lost. A show titled Child’s Play: The TV Series is in the works, which will not only share continuity with the original movie and its sequels but will also be written by Don Mancini, the writer behind all the previous Child’s Play movies and director of the last three entries. If the movie really is as bad as it looks, hopefully the TV show will salvage this classic for the fans. We’ll get to find out once Child’s Play releases on June 21, 2019.